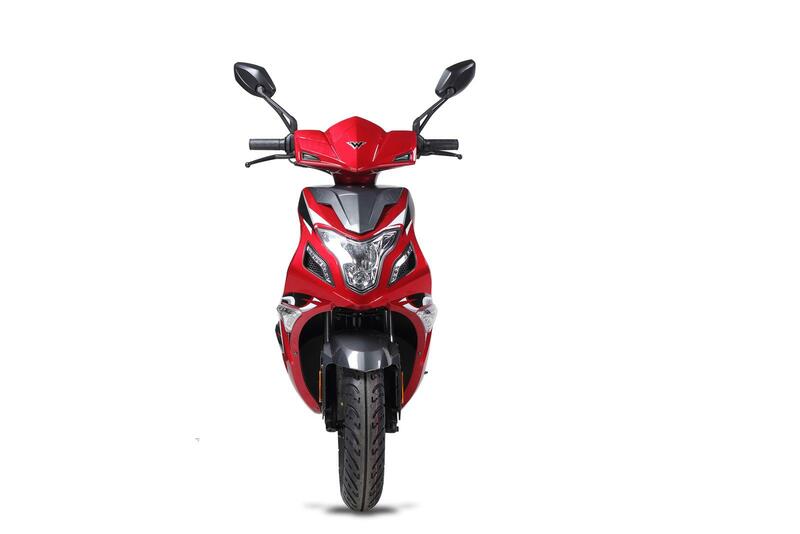 You’ve never seen anything like it before! 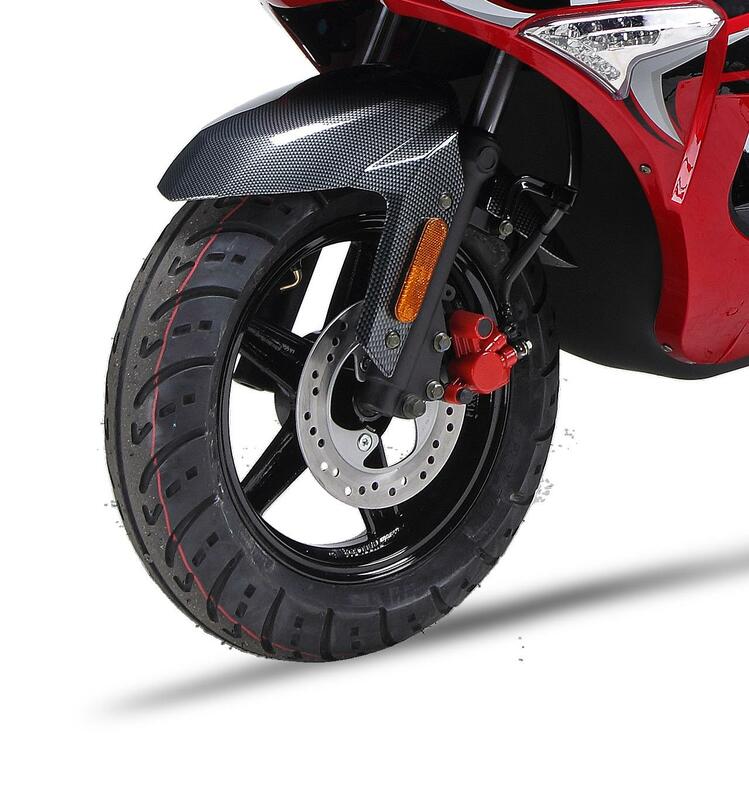 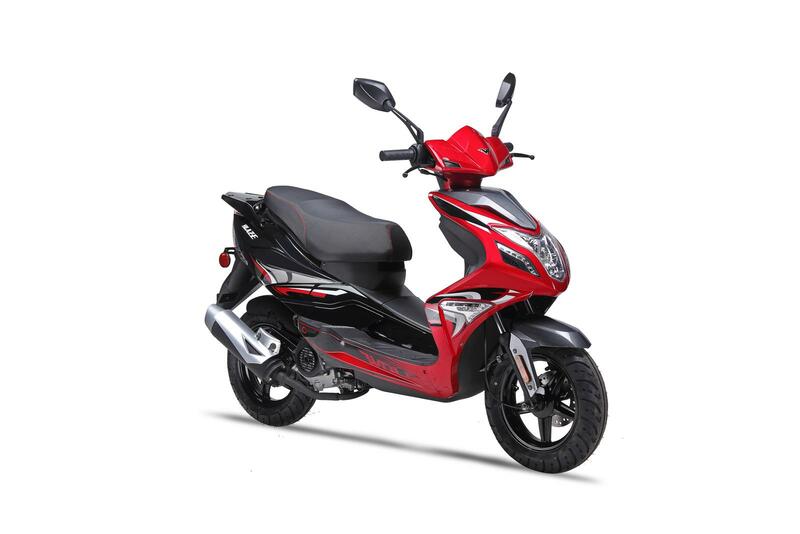 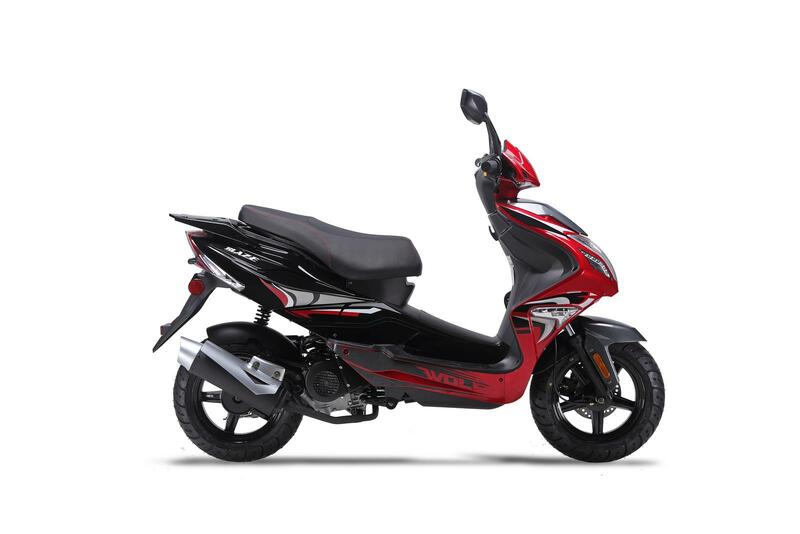 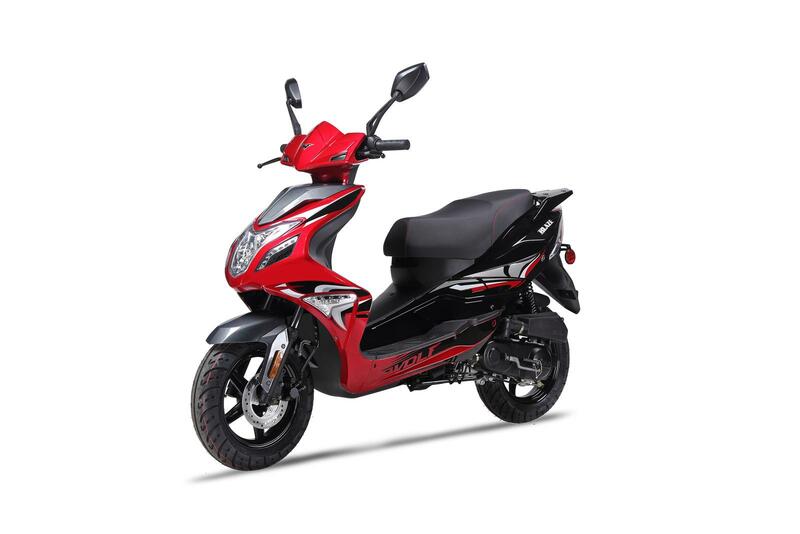 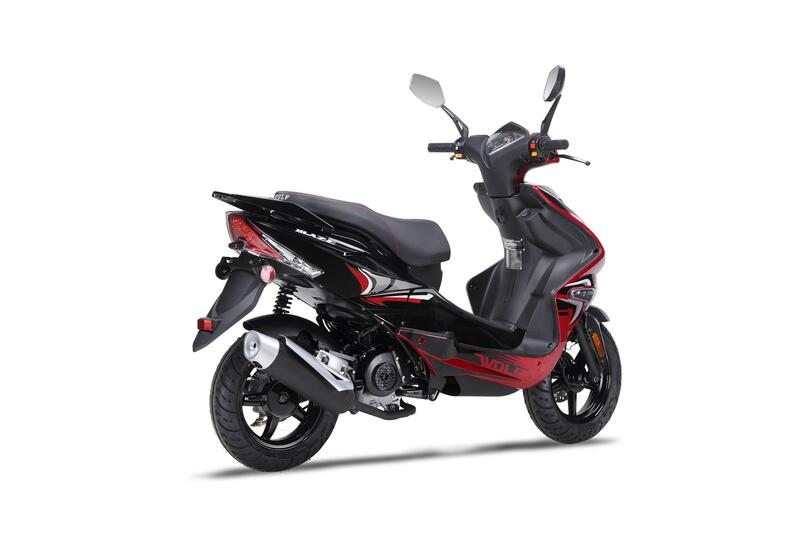 Comes in sporty red with carbon fiber trimming, red accents on the caliper and shock, and ultra-cool graphics to complete this super sporty scooter. 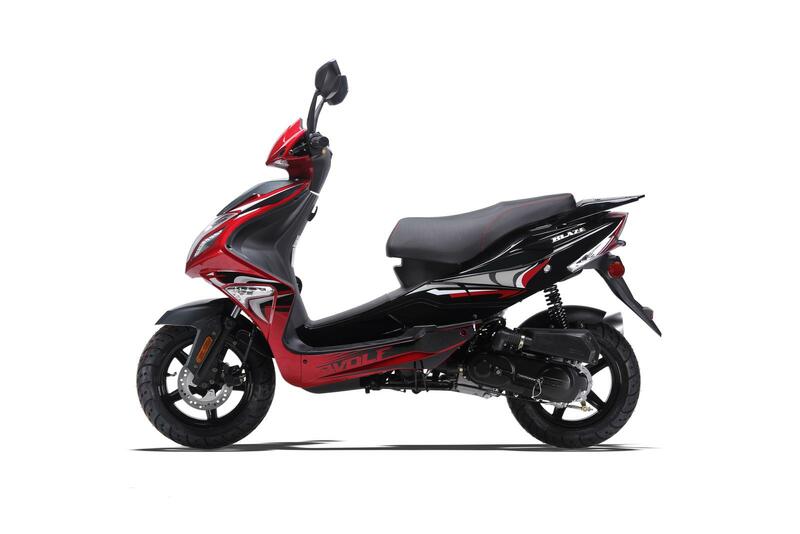 This model comes with an upgraded Performance Carburetor, Motobatt Battery, LED Headlights, Duro Tires, and a NGK Spark Plug! 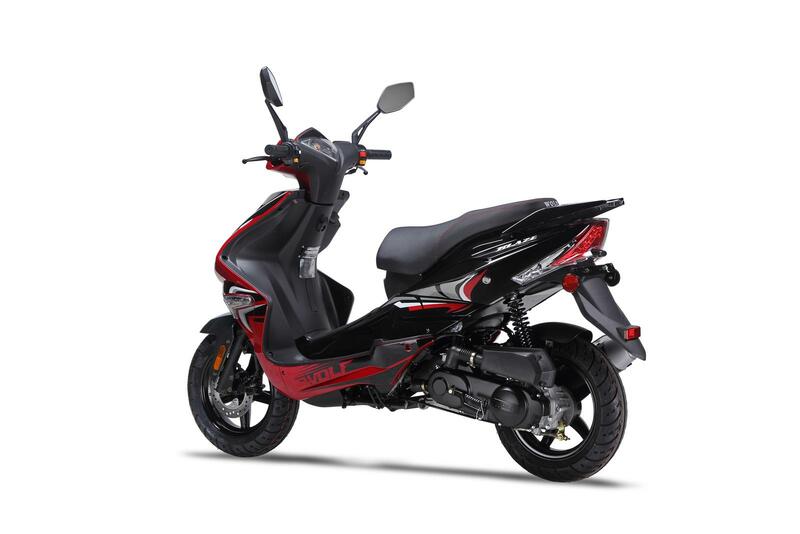 You’ll be fully covered and ready to hit the streets with this bad boy!